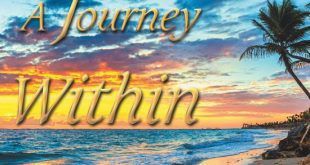 Author and empath LouAnne Ludwig talks about her inspiring new book, 'A Journey Within.' Written as a fable, it's filled with powerful tools for connecting to the spirit and joy within all of us. I am in a divine struggle within, how to speak the truth while loving and forgiving? The Tony Award-winning musical is performed by an enthusiastic cast in a sparkling revival at the Commerce Street showplace. A venerable feast for anti-art lovers everywhere. Highly recommended.